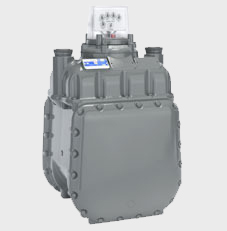 Commercial and Industrial Gas Meter | Carl Poe Company, Inc.
For accurate and cost-effective commercial and industrial gas meter devices, contact Carl Poe Company, Inc. in Houston, TX. Learn more about our products today. Our wide range of measurement instruments will help you run your business better. 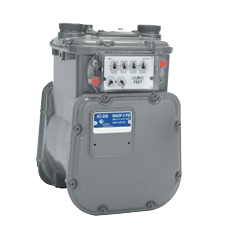 The aluminum class AC-250 is the industry's most cost-effective gas meter for residential applications. It is unequaled for accuracy retention and for life cycle maintenance economies. 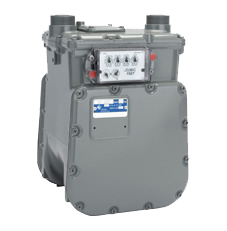 The AL-425 diaphragm meter is ideally suited for larger residential or small commercial/industrial installations. Compatible with automatic meter reading technology. 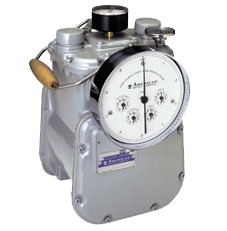 The AL-800/AL-1000 diaphragm meters are for usage in commercial/industrial applications. 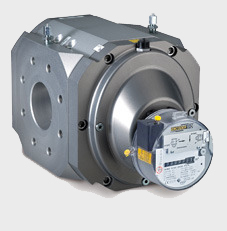 These meters are compact and lightweight, but are designed for positive displacement accuracy for industrial/commercial loads. The AL-1400, AL-2300 and AL-5000 Industrial diaphragm meters are for usage in commercial/industrial applications. The GT/GTS/GTX Turbine meters are used for heavy-duty commercial/industrial applications. These meters measure gas volume via rotor blades. The rotor rotation rate is proportional to the gas flow. These meters are available in the GT, GTS or GTX models. The wafer type housing of QA and QAe (with electronic totalizer) is made of aluminum. 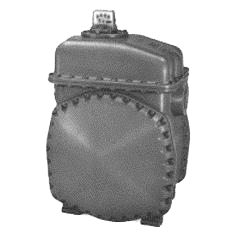 Depending on the version, the volume is displayed on a mechanical (QA) or an electronic totalizer (QAe). QA and QAe Quantometers combine the high accuracy of the Q series of Quantometers with low weight. 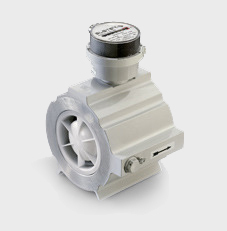 RABO combines tried-and-tested product features of previous rotary gas meters from Elster-Instromet and is a convincing product because it offers a large range of future-oriented features. The device is suitable for measuring gases of the first, second and third families pursuant to EN 437:2009 and for measuring a range of technical gases. 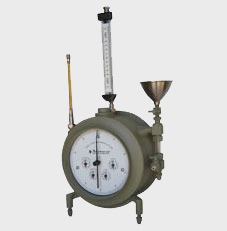 Elster American Meter Dry Test Meters are used for field or laboratory testing of gas unsaturated with water vapor. Elster American Wet Test Meters are individually calibrated under controlled conditions. The Hinman-type drums (low-differential) provide a high degree of accuracy. 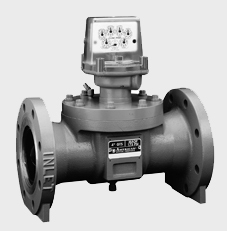 These meters will maintain the original calibration for long periods due to the extensive use of corrosion resistant material. Additionally, the grommet-type seal is designed for minimum friction to give maximum meter sensitivity. 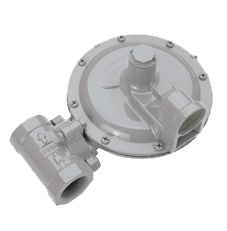 The Elster American Meter Series 1800C pressure regulators are designed for natural gas applications and feature a compact, lightweight design for fast, easy installation. 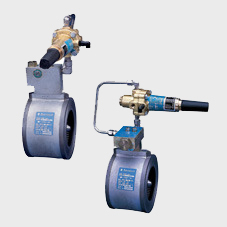 Interchangeable orifices and springs provide a wide range of outlet pressures and flow rates. Outlet pressures between 3.5" W.C. and 2 PSIG are available. 1800 Series low-pressure models have a maximum inlet pressure of 150 psi and offer outlet pressures ranging from 3.5" w.c. to 5 psi. 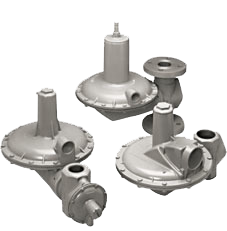 2000 Series high pressure models allow a maximum inlet pressure of 150 psi and outlet pressures ranging from .5 psi to 15 psi. 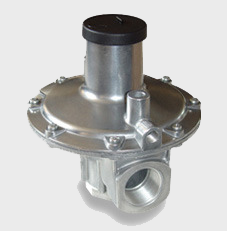 The J48 is an industrial low pressure regulator suitable for a wide range of pressure reduction applications, including such OEM equipment as boiler and burner trains for a variety of gases.